As anyone browsing through those quick, short social media updates (wat up 2 nite?! LOL!) can tell you, it’s a dark time for the written word. Elementary schools have stopped teaching cursive, and high schools in the United States are actually graduating students who do not have the capacity to write a five-paragraph essay. Writing scores on the SAT have declined an average of five points since 2011 and consistently represent the lowest student outcomes of any section of the test. Is the writing on the wall—in more ways than one? Now, more than ever, good written English skills are imperative for success in college and the workforce. The writing skills you have today directly impact how successful you will be in your applications for college admission, financial aid, and other educational opportunities. Additionally, the writing skills you develop now will impact your future job applications, promotions, career advancements, and even our economy. People who cannot write and communicate clearly will not be hired and are unlikely to last long enough to be considered for promotion. Eighty percent or more of the companies in the service, finance, insurance, and real estate sectors—the corporations with the greatest employment growth potential—assess writing during hiring. Two-thirds of salaried employees in large American companies have some writing responsibility, either explicit or implicit, in their position descriptions. “All employees must have writing ability. . . . Manufacturing documentation, operating procedures, reporting problems, lab safety, waste-disposal operations—all have to be crystal clear,” said one human resource director. 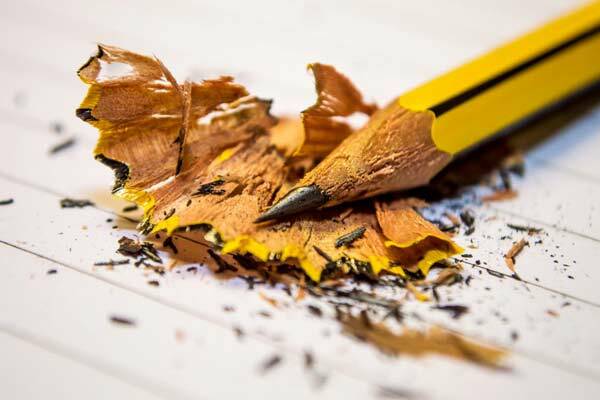 Employers spend billions of dollars each year to correct writing deficiencies. Released late in 2004, the Commission’s report and its implications are even more compelling today. A recent Wall Street Journal article focused on “Must-Have Job Skills for 2013” and identified clear communication, which includes writing, as the #1 skill necessary for success in the current job market. With today’s emphasis on fast communication through technology, it seems more people ask why they need to take writing courses or learn writing skills when they can just text their views to employers, clients, and colleagues. Even children seem to gripe more these days about why they need to learn to write in complete sentences. So what is the value of good writing skills today? In answer to its title, “Are Writing Skills Necessary Anymore?,” another Washington Post article concluded with a resounding yes. The author queried executives, consultants, and business leaders from various disciplines, and all of them stressed the value of good writing skills in today’s workforce, noting “writing is even more important than in previous years.” At the same time, these business leaders opined that writing skills among graduates have declined. Echoing these concerns, Forbes recently described a shift toward growing professional intolerance of inferior grammar and writing skills: “Poor grammar and writing is an epidemic in the workplace. While the era of social media and texting has caused many to believe it’s a problem they couldn’t resolve, a number of businesses are finally finding the nerve to crack down." The importance of writing skills in today’s workforce is so profound that even popular online career planning guides, such as About.com and eHow, emphasize the significance of good writing skills for career preparedness. While you may care about the world economy and global workforce issues, your immediate concerns likely fall closer to home: successful college applications, first-rate internships, weighty financial aid packages, and good summer jobs. Clear and effective communication in written form is critical. It often serves as a first impression of your intelligence or professionalism, and your credibility is at stake. No matter how knowledgeable or skilled you may be, if you cannot convey yourself clearly in writing, or if your written materials contain spelling, grammatical, or other errors, your reputation and opportunities will suffer. Exceptional writing assures you a leg-up, while poor writing may lead to missed opportunities. However, even middle-of-the-road writing threatens your chances of success. For example, if two candidates (whether for admission to college, financial aid packages, or applications for a job position) are otherwise comparable, the one with the better writing will likely prevail. Are you prepared? You have graduated from high school, or are on track to do so; surely, this means that your writing is up to par and you are equipped with the necessary skills . . . unfortunately, this is not always the case. The Nation’s Report Card, prepared by the National Assessment of Educational Progress at Grades 8 and 12, also showed dire results. Only 24% of students at both grades 8 and 12 performed at the level of “Proficient” (representing solid academic achievement) in writing in 2011. For non-native English speakers, the results were even more dramatic. Only 1% of ELL (English Language Learner) students performed at or above the Proficient level in both eighth and twelfth grades. One of the benchmarks of college success is the SAT. As set forth by the SAT, its writing section requires students to communicate ideas clearly and effectively; improve writing through revision and editing; recognize and identify sentence-level errors; understand grammatical elements and structures and how they relate to each other in a sentence; and improve coherence of ideas within and among paragraphs. Yet, the SAT Report on College & Career Readiness revealed that only 43% of SAT takers in the class of 2012 graduated from high school with the level of academic preparedness associated with a high likelihood of college success. Enroll in local courses or workshops that target writing skills. These courses may be for general writing improvement or may be specific to your intended major or career (e.g., business writing, journalism). Courses are available for beginning, intermediate, and advanced writers so you can tailor the instruction to your own skill set. There are many writing courses specifically designed for non-native English speakers as well. While in-person instruction may be beneficial for some, others may prefer the convenience of online instruction. Simply conduct an internet search for available courses (search for “online writing courses” or other keywords), and you will find numerous options, many of them free of charge. Seek out the writing center in your high school or college. Most institutions of higher learning offer on-campus writing centers, tutoring centers, writing labs, or other resources to pair students seeking writing assistance with professors, graduate students or tutors. Writing centers typically help students with any aspect of their writing, from specific writing assignments to general writing skills and techniques. Due to overwhelming demand, however, it is helpful to consult a writing center well in advance of any deadlines since some centers are not able to accommodate all students. Find a “writing buddy” and take turns proofreading and editing each other’s work before submission. Often, after writing and reviewing the same document for an extended time, you are no longer able to see your own paper objectively. You begin to unconsciously skim as you read, missing typos and other errors. A writing partner can give a fresh perspective, check to see that you are communicating what you intend, and assist with editing and proofreading. Use caution, however, and do not rely solely on a classmate’s review since proofreading effectiveness is limited by the knowledge and grammar skills of the proofreader. Proofread, proofread, proofread! Of all of the tips presented here, this is the most important. Proofreading is your last chance to correct writing errors before your document is submitted to your admission board, instructor, or prospective employer. In addition to proofreading yourself, it is helpful to have a fresh set of eyes review the document—such as your writing buddy or a writing center representative. Use online tools and resources. As needed, consult a dictionary, thesaurus, grammar guide, punctuation guide, writing guide, or style guide. Write in an active voice. Consider word choice. Avoid common grammar mistakes. Online tools can assist you with all of these considerations, and many are available at no cost, such as Grammarly® Answers, an online Q&A community for English writing questions; Grammarly® Handbook, an online English grammar guide; or Grammarly® Words, an online contextual thesaurus. Whatever you can do to improve your writing skills will benefit you with regard to short-term educational goals and long-term career goals. The importance of high-quality writing cannot be emphasized enough. As you build upon your existing skills, you invest in your future. The writing is on the wall.